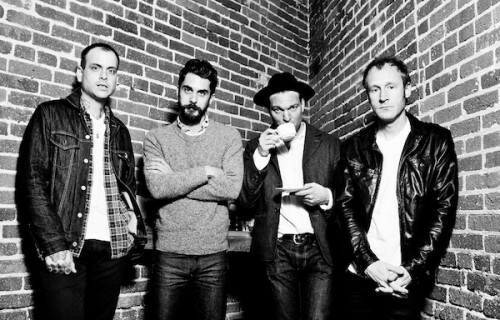 Cold War Kids’ headlining US Tour kicks off Wednesday, April 3 at Gothic Theatre in Denver, CO. Sold out shows already include: Minneapolis’s First Avenue on April 5, Chicago’s Metro on April 6, Boston’s Paradise Rock Club on April 10, DC’s 9:30 Club on April 11, Philadelphia’s Union Transfer on April 12, New York’s Webster Hall on April 13, Carrboro’s Cat’s Cradle on April 15, the May 24 hometown show at Los Angeles’ Henry Fonda Theatre and Solana Beach’s Belly Up Tavern on May 25. Find the complete tour itinerary below with additional dates planned to be announced next week. Today also marks the premiere of a remix of “Miracle Mile” by rising Downtown Records duo, Houses.